Ahh, the great outdoors. Let’s face it, as much fun as taking photos during indoor activities can be, there is nothing quite like shooting in the open air of the great outdoors. Playing with natural lighting, wide open spaces, infinite points of view and angles to shoot from and just the sheer beauty of clicking away on a gorgeous summer day makes taking pictures outside a truly glorious endeavor. And we might add, the accessories available today that help you take outdoor shooting to new heights are just too cool to ignore. Thus, we’ve assembled a few of the more unique and useful little gadgets, all of which will fit nicely in your gear bag, so you’ll be primed and ready for your next outdoor shooting adventure. Immediately backing up and protecting the precious memories you’ve just captured is never a bad idea and it’s particularly useful when you’re on location and still clicking away as memory cards can fill quickly and can often times be misplaced or lost. Carrying along one of the many slim, lightweight, compact external hard drives lets you do all of the above and keep right on shooting. 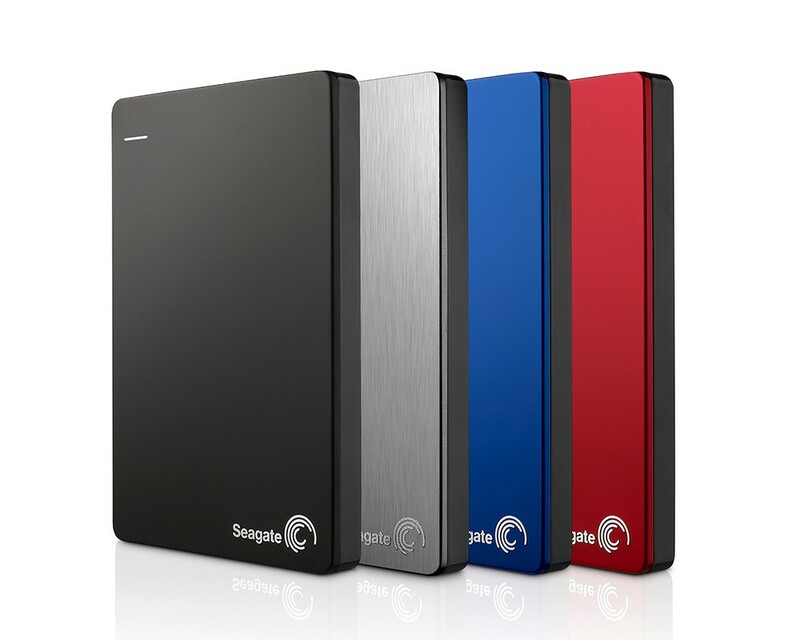 We love Seagate’s Backup Plus Slim that offers 2TB’s of storage and measures a super small 4.5x3x0.5-inches and weighs less than half a pound and features a maximum sustained read/write speed of approximately 100MB/s ($99). 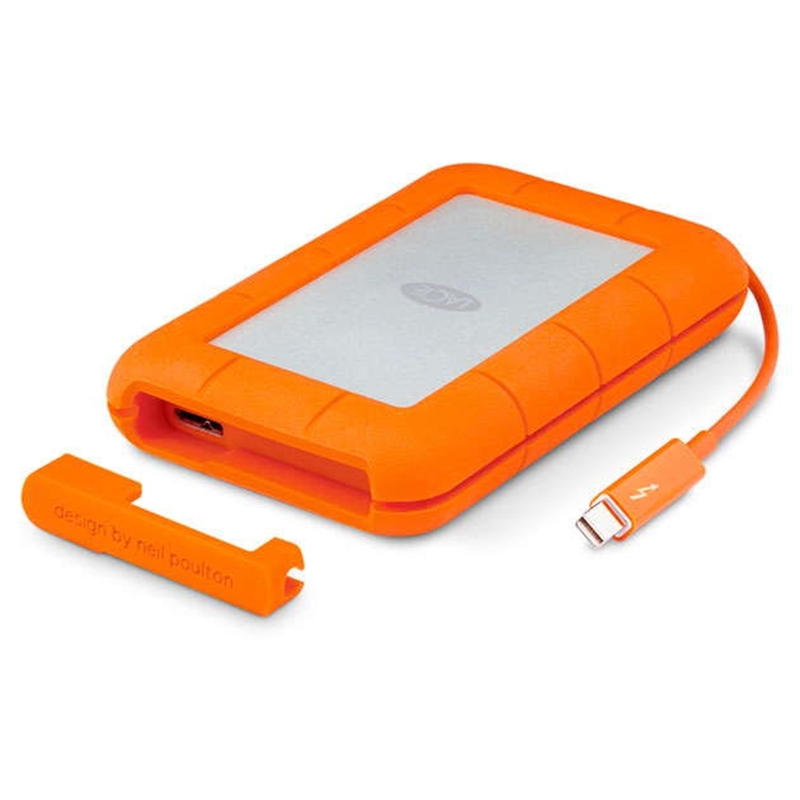 LaCie’s Thunderbolt Drive also offers 2TBs of external storage and is actually a bit more rugged than the Seagate so this one is another solid option ($119). Having a solid tripod option is always vital to guaranteeing the sharpest images possible and on the portability front the Benro MeFoto fits the travel photography bill perfectly. Their MeFoto Roadtrip collapses down to just slightly longer than your 15-inch laptop, and weighs only 3.6 pounds, though it’s capable of supporting as much as a full-sized tripod, easily handling an average-sized DSLR and zoom lens, making it perfect for your gear bag. They’ve also added a nice extra … a center column that doubles as a monopod ($179). Ok, we’ll admit this next pair of gadgets is a bit superfluous but we think a portable speaker and a set of earbuds that are completely waterproof and actually float are worth bringing along on your next outdoor shoot. 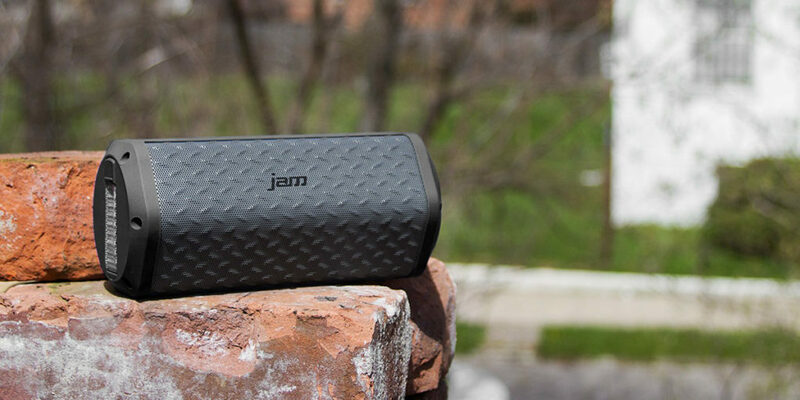 Add the fact JamAudio’s Xterior Plus speaker provides excellent sound quality and an integrated screw mount on the bottom allows you to attach it to your bike so really, what’s not to like ($79.99)? 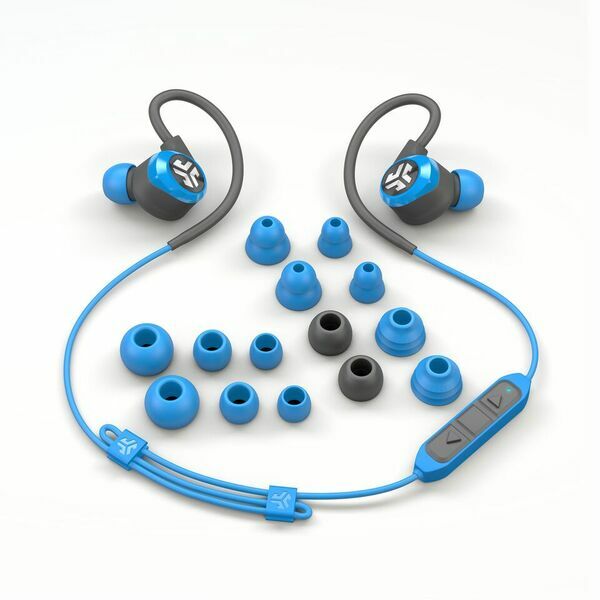 For those more private musical moments toss in a pair of the aforementioned earbuds – JLab Audio’s Epic2 are ideal as they feature a 12-hour battery life, are waterproof and come with multiple tip options ($99). There’s no reason not to let the music play on while you shoot. With the number of mobile devices we carry with us today only growing, coupled with the fact we have just suggested you a carry around a few more in the paragraphs above, a must have gear bag item is a reliable portable charging device. 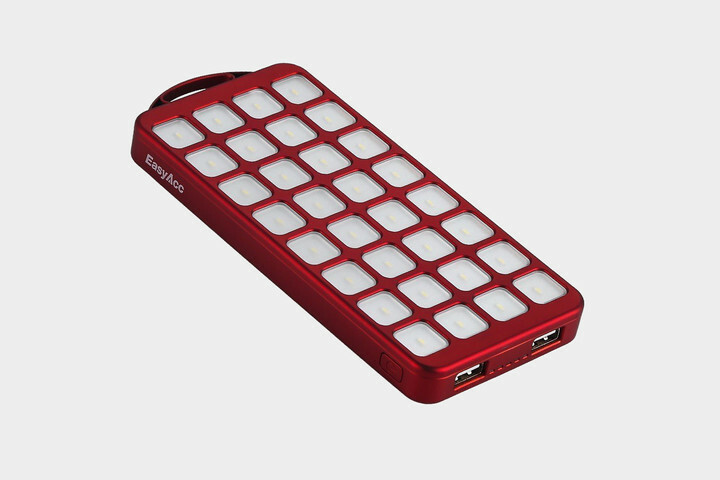 There are dozens to choose from but we really like the EasyAcc PB8000 Power Bank. This compact unit offers two 2.1A ports for charging and includes a solar panel on the back with an ultra-bright flashlight function ($36). 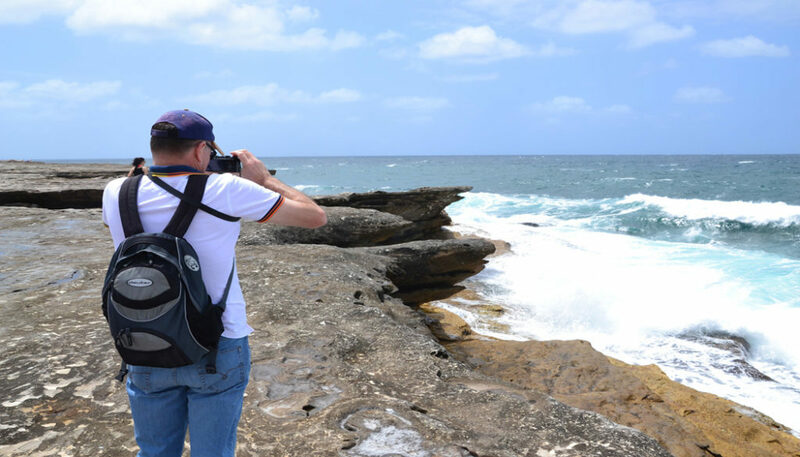 Let’s conclude by answering this query – now that you have some very cool new travel accessories for your gear bag, might it be time for a new gear bag? The MindShift Gear Rotation 180-degree Horizon 34L Backpack is one of the coolest bags we’ve seen in quite a while. This may look like a fairly standard back pack until you realize you can slide the smaller belt pack around to the front of your body to quickly retrieve your camera or change lenses with the pack still securely attached to your body. 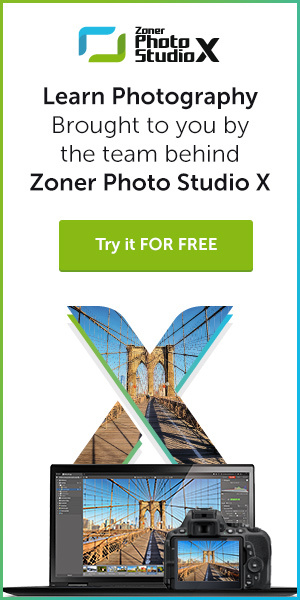 This rotating section holds a DSLR with an attached lens, an additional lens between padded dividers, and a 10″ tablet tucked behind another padded divider. 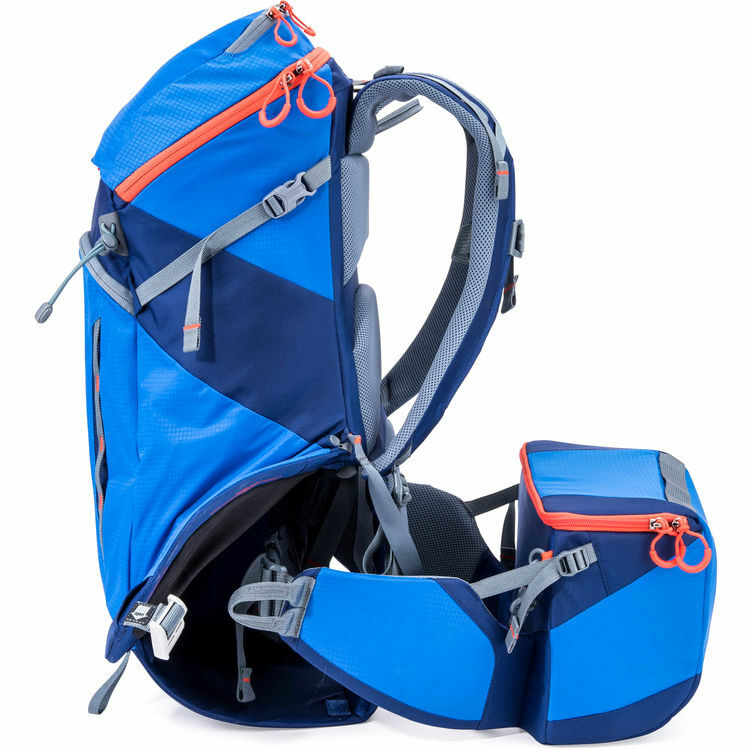 It locks securely in place aligned with the rest of the backpack via a magnetic tab, or may be worn separately for shorter trekking or day trips. Lots of room in the main bag for an extra camera, laptop, rigging, and accessories ($250).